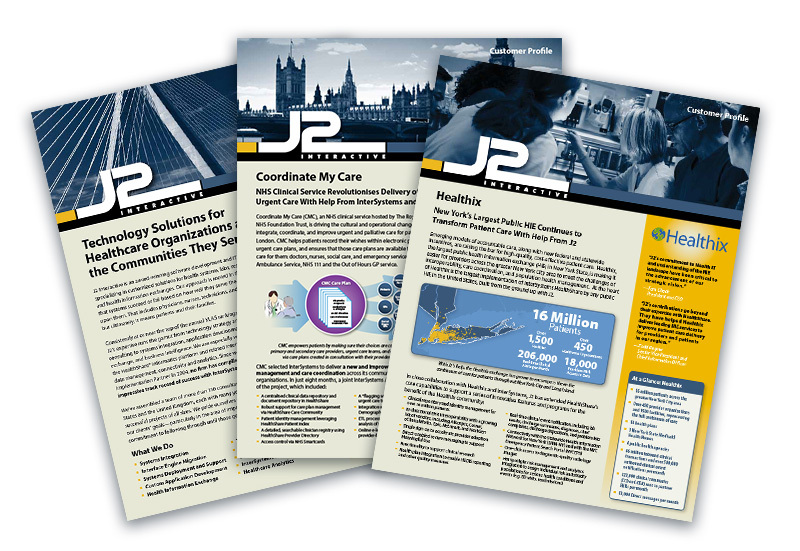 CHALLENGE: J2 Interactive, one of our many long-term clients wanted an update to their website. Not that their site was awful since we designed the existing one, but it had been a while since the site was created and the client wanted something fresh and new. They also needed updates made to their client feature prints and two retractable banners – all before a conference – so on a tight deadline. SOLUTION: Within 2 months from beginning the website redesign, we resolved on a new design and within 3 months later we were able to get final approval on the development website with several people coming to a consensus of what they liked best. Content on the site generally didn’t change but the look, layout and some functionality was updated. The new website features parallax scrolling on the backgrounds of 2 sections. It adds a very professional and sophisticated feel to the site. A customer logo slider is included on the home page to show the breadth of clients for whom J2 provides many systems integration services. Everyone was excited about the finished product and they’re receiving great reviews. Modifications to their print pieces included modifying some content but also ensuring that all of the pieces were consistently laid out. These pieces were finalized and printed on a very tight frame. J2 was very happy with the result. We were grateful to J2 for trusting us with this important project to be completed and have it delivered on time. Our job is successful if our clients are pleased with the results. Contact us so that you can be pleased and proud of your website, designs, illustrations and marketing materials.